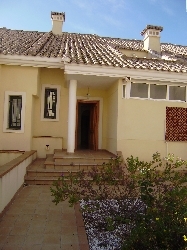 VILLAS AND APARTMENTS TO RENT IN CAMPOAMOR, SPAIN. Welcome to our selection of holiday homes to rent in Campoamor, Spain. The Campoamor holiday resort is in the southern area of the Orihuela Costa region. Its lovely sandy beaches that are among the nicest in the area and range of facilities make it a great resort for the family. Its location makes it ideal travelling to either Costa Calida or Costa Blanca. Campoamor has its own golf course and two others close by (Villamartin and Las Ramblas) that together attract golfers from around the world to the area, which is popular with visitors from Spain and beyond. There is also a large sports club caters for several other sports including football and has a modern gym. Campoamor also has a number of British expatriate residents in the area. Looking for self catering holiday accommodation in Campoamor? Then below is a selection of apartments in Campoamor and villas in Campoamor that can be rented direct from their owners. You can either click on each listing for further details or you can use our search engine on the left if you are looking for something in particular.